An expansion of Mariners Centre gets new life as it is given priority as a community recreation project. Three and a half years ago a needs assessment was completed by community stakeholders and the three local municipal units with assistance from the Province of Nova Scotia. The full report is available along with possible floor plans on the Mariners Centre website. With the age of the YMCA building and the need for new facilities, the report recommends moving the operations of the YMCA to the Mariners Centre location and developing new fitness and aquatic spaces. This partnership is evident in the Pictou County Wellness Centre. A new standard size competition pool with a second warmer therapy pool would be more accessible and open up time and space for a number of aquatic recreation opportunities. 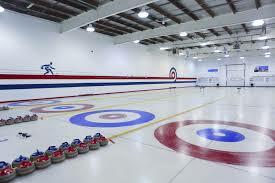 A curling surface is also an option for add-on and also needed in the region due to the age and upkeep of the current facility. Curling is accessible to people of all ages and also has a lot of local support for hosting bonspiels. Facilities that include an indoor walking/running track indicate that it is very well used and a great investment in community recreation. 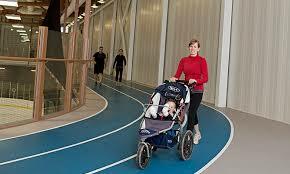 Walking tracks are used by everyone; young and old and would be an obvious addition to a multi-purpose recreation facility. Many other options exist both in the plan and in the minds of community members. Recreation services including programming and facilities are one of the most important items your tax dollars support. People choose to live and work in areas with good recreation opportunities for the whole family. Keeping recreation low cost is something our municipal units strive to do so it is accessible to all and keep our whole community healthier. Very excited to hear/read that this is back on. Curious if a third hockey surfuce is a consideration? It was. At the time of the needs assessment, it was not recommended due to declining numbers in minor hockey and lack of use of non-prime ice time. There was consideration given to both ice surfaces being NHL standard but that would require an architectural assessment. Of course, we expect an update will be needed since that study was over 3 years ago. they say becoming a priority as a community recreation project??? all of this and yet the roads are horrible and ruin your vehicles, nothing for the youth in the town, cancer patients unable to recieve localized treatments therefore made to leave their families and travel a ridiculous distance. oh and lets not forget the great dispatch workers who just lost their jobs ( kind of funny how this comes about shortly after that) and a stupid multi million dollar arts centre being built! absolutely obsurd and shameful and a complete disgrace. Nothing to do for youth? The YMCA – Swim lessons, pickleball, basketball, weights, open swims, ping pong. This expansion would provide more opportunity for youth, not less. The money for the expansion of the Mariner’s Centre would not come from the funds allocated for road work. This money would have to come from grants no doubt. Same with the Arts Centre. So you can have bad roads and no facilities or bad roads but someplace to go when you get on them. The cancer unit issue was not decided by the town, it was decided by the health authority. Take it up with them. This also has nothing to do with dispatch workers losing their jobs, as unfortunate as that was. This is an expansion that would encourage both business owners and doctors to stay in the area, it is something that is badly needed in the community. The curling rink in town is slowly falling apart. The YMCA is aging and although there is fantastic staff there, there is only so much they can do. I would love to see 4 or 5 of this scrolling rockwalls installed in different places throughout, which eliminates harnesses, life lines and high fall injuries. Multiple water replenishing stations for those who carry their own water bottles while using the facility. Scrolling rockwalls would be super cool! A bouldering wall would work too – there’s one in the valley and it’s not very high so there are just thick mats on the floor. It was so fun! I’d actually leave my house to climb for sure. I am a swim parent who never realized the amount of travel that would be involved until my child became involved in swimming. I also never realized the number of kids, parents, volunteers, partners, and officials required to run swim programs throughout the province. My child swims every day at the YMCA pool. They love to swim and love to practice and to compete. The skills and experiences and health benefits they have received from swimming has been pivotal in their development and health. I have also witnessed the volunteer’s and coaches invest a huge amount of time and effort in support of swimming in Yarmouth County. However, having said all this, our swimmers are at a clear disadvantage when it comes to swimming and competing at provincial and national levels. In spite of the fantastic coaches and volunteers, our swim program requires our swimmers to travel the most often and the greatest distances of any team. Every single swim meet is outside of the region and required at a minimum 45 mins of travel and most regularly swimmers are making four or six-hour return trip to compete. Other meets require travel to Antigonish or Truro. This also includes hotels and meals and fuel. There is usually a swim meet every month in NS. In addition to the excessive travel to compete, our swimmers train in a 15-yard pool! The fact that our swimmers train in a pool that is 4 lanes and 15 yards in length clearly demonstrates the need for a competition level pool. I would ask you to imagine our local hockey players practicing on an ice surface half the size of competition rinks in the province. Imagine our hockey players training to play hockey on a full-size ice surface yet only practicing on one half the size? Imagine our minor baseball players playing on a ball field where the outfield fence started directly behind second base and then expecting outfielders to do well when they compete on a full-size baseball diamond. Imagine a curling rink that is half the length of an actual curling rink. Would anyone come here to run competitions? Do you think our curlers would do well when they traveled to compete having trained on a curling rink half the length of an official curling rink? This is all quite laughable when you actually think about it. My intent here is to demonstrate the need. 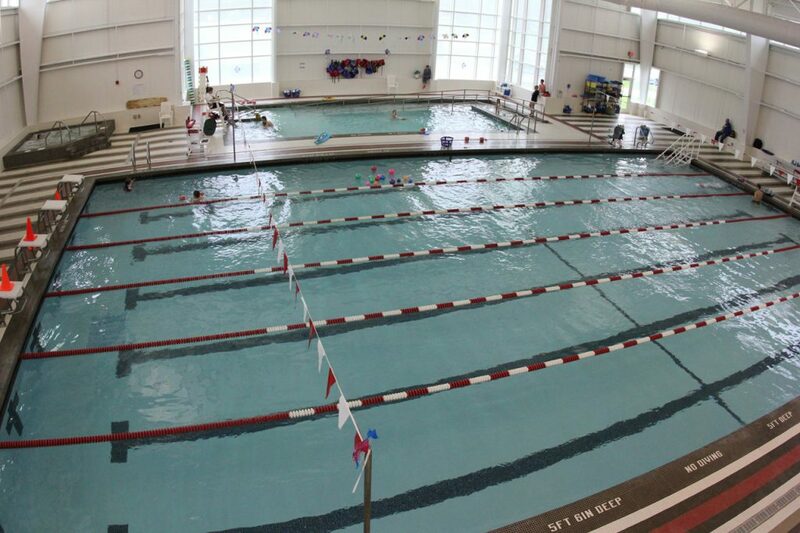 The pool at the YMCA has accommodated a swim program for many years in spite of the obvious issues with the size of the pool. It should be obvious that a fifty (50) meter pool is needed. In my opinion, we should not be considering just a 25-meter pool, that was probably the thinking when we decided that a 15-yard pool would suffice. A fifty-meter pool will plan for the future and allow our swimmers to be competitive provincially and nationally. In addition, a fifty-meter pool would make Yarmouth one of only 2 other locations in the province with such a facility. The only fifty-meter pools are in Halifax. With a fifty-meter pool, we could ensure we have the opportunity to host all three levels of swimming competition plus we would be able to attract university training camps and other national competitions. In my opinion, a pool should be the top priority of any expansion. I support the other ideas as well including a curling rink and a running track but in my opinion, the most needed item would be a competition level – 50-meter pool. I support the YMCA running the programming and relocating to that location as well. I am sure we could utilize the space downtown for other retail or other business. The downtown is growing and I fee that land could be utilized for more retail or food and beverage businesses. The YMCA would be a great addition to the Mariners Centre and a natural partnership. It also should be noted that if we do build a pool there should be ample and sufficient view areas for spectators. Most pools in NS have poor if any viewing opportunities for families and fans. Any pool project must ensure adequate viewing and seating for spectators. Let’s not think small and settle for a “just good enough” pool. Let’s plan for the future and avoid the situation where we may be wishing we had put in a 50-meter pool in the future. Remember when we had to add seating to the Mariner Centre? Let’s avoid that and plan to have enough space and a big enough pool for all levels of swim competition. The opportunity for events and economic development related to swimming is significant. The pool would not just benefit swimming it would benefit our economy in the same way that hockey generates room nights and economic spend in our community. Emphatically agree with the need …plan not for needs today but imagine our province 10-30 years from now… autonomous transportation is here folks! The distances we gripe about traveling today within our own province for sport and entertainment will be a mute point for our next generations. Imagine. If a 25m pool eliminates Yarmouth from being in the bid process for any scale swim events in the future… today is the day to reconsider. Fingers crossed for a walking track before they throw us out of the mall for obstructing the shoppers , walking track will be great in slippery, windy and extreme cold days! Yes yes yes to all of them , I am a senior and struggling to try to keep fit , walking is one of the most important ways to do that and in the winter it is almost impossible to do that for a senior , and I am also a grandmother with 4 grandkids into dance , handball , hockey and this addition would make it easier for them to continue in our community ! !